Check this out for a lazy week! OVERALL – Clearly I really took it easy this week! Between starting a new intensive summer session class and the heat skyrocketing I had a lot of trouble rearranging my workout schedule to get anything done this week. Plus, with my training plan for all of my fall races (Dumbo, Marine Corp and Wine & Dine) starting next week I thought I’d give myself the entire week off from running! 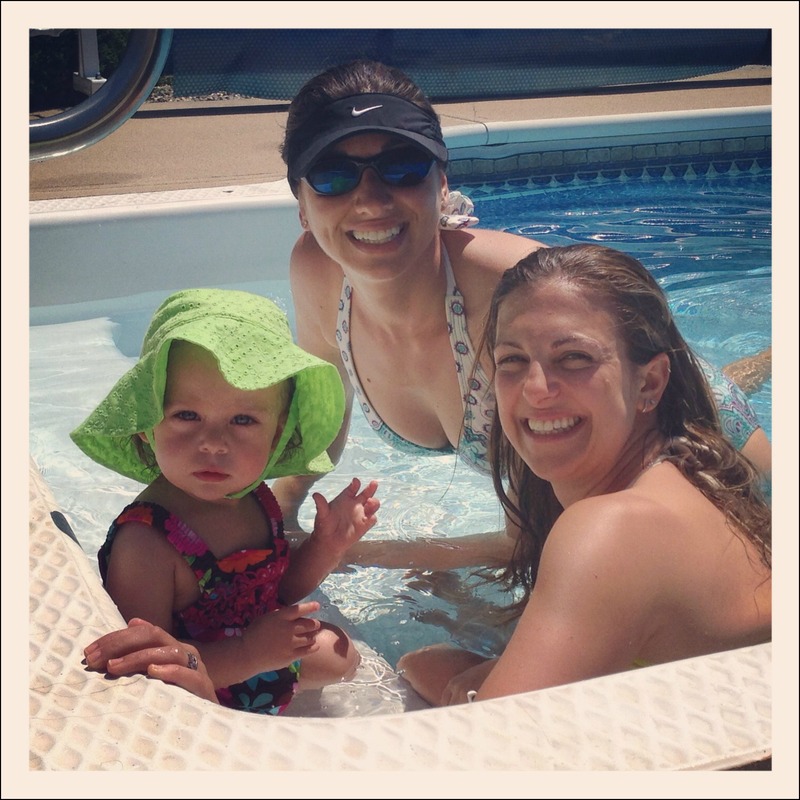 Pool time with baby cousin Belle! New training plan starts this week (I’ll post more specifics soon), but I’m really going to focus on incorporating speedwork this time around! Since my classes are 8am-noon everyday I need to check out some new yoga classes since I can’t make my usual favorites and I’ll need to either run before class or wait until it cools down at night, so lots to figure out! 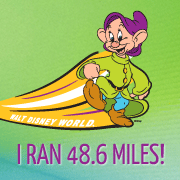 Running – My training plan for Dumbo and Marine Corp starts this week! And of course, your weekly Madison picture! Madison loves to play in the pool, and then she rolls around on a towel to dry off! follow me (@dnardi710) and/or Maddie (@DoxieDogMaddie) on Instagram! Madison loves the pool! Plus my sister’s 2 dachshunds are always there (we were at my moms house) so she has her playmates! I can’t wait to follow along with your IM training, it’s going to make my training look pathetic! How cute is Madison! My dog is not a pool dog, not that she’s ever had the opportunity to go in one, but she doesn’t like the ocean for sure and she only likes to walk in puddles that don’t go past her neck. My mom has a pool so we’ve taken her in it since she was little so she likes it, especially on a hot day! 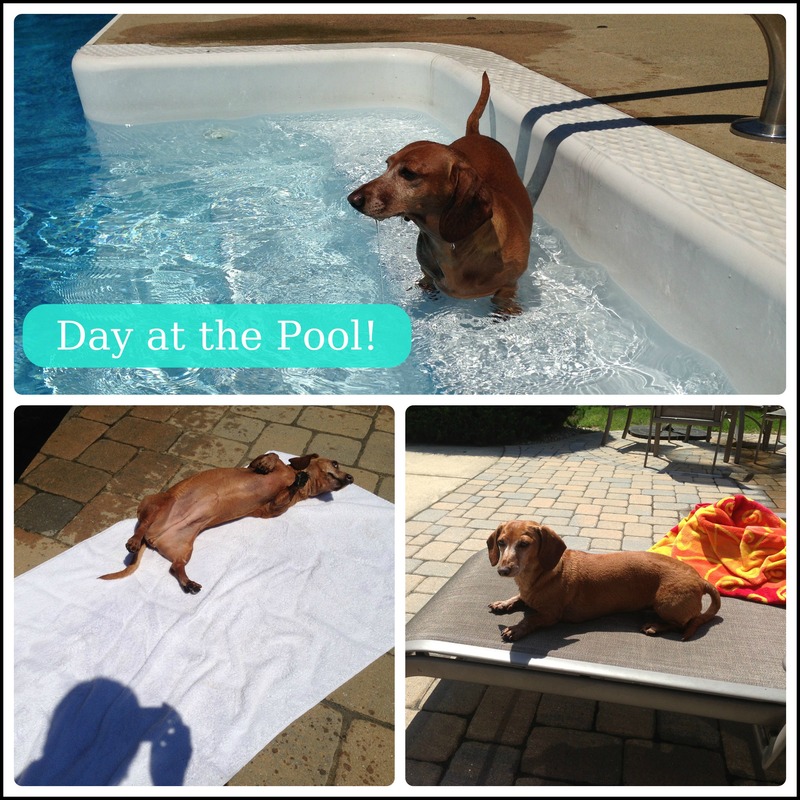 My sister’s dachshund will literally dive off the side of the pool and swim laps though, it’s too funny! First of all, you’re dog is SOOOOOOO cute! Love her! Oh my goodness, how are you thinking about running and training, isn’t your wedding just days away?!? P.S. – did you book your honeymoon hotel yet?? I am going to but you about it, I’m worried for you that you’re not going to have a hotel! Haha! Good! I had actually heard on a podcast that Aulani was really hard to book for the summer since it’s so busy which is why I was bugging you! I was worried you wouldn’t get a room for your honeymoon! Thank you! And I really appreciate it! I definitely needed the bugging since I clearly underestimated the popularity of the Aulani. I keep forgetting it’s not like WDW where there are a dozen other hotels to stay at! Jealous of the pool time. I don’t blame you for taking it easy, the weather was miserable this past week! Oh my goodness, it was just so hot! It was nice to be at my moms house with the pool all weekend! I love it that Maddie has her own instagram!! She is so cute! Relaxing by the pool sounds fantastic – I’m shortly leaving on vacation to do exactly that. I really need to officially start my Dumbo training and figure out my training schedule. Ha! Madison is SO cute! I LOVE that she’s a pool dog. I can’t get Cinderella anywhere near the water. She HATES it. Looks like you had some great “rest” time!